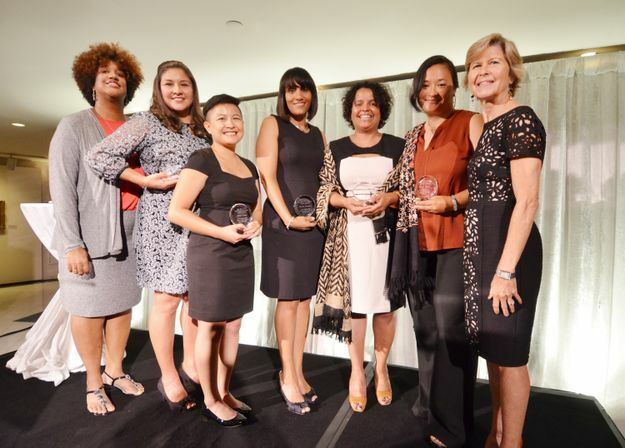 Lisalyn Jacobs with the National Task Force to End Sexual and Domestic Violence Against Women, far left, and Anne Crews from The Mary Kay Foundation, far right, flank recipients of the Unsung Hero Award honored on September 10, 2014 in Washington, D.C. The five honorees were recognized for their valiant efforts to end domestic violence and sexual assault in their communities. DALLAS – SEPT. 11, 2014 – Congressional leaders and pioneers gathered in the nation’s capital to commemorate 30 years of life-changing, landmark legislation that helps save and rebuild lives. The Violence Against Women Act (VAWA), Victims of Crime Act and the Family Violence Prevention and Services Act were remembered by attendees at “Pillars of Empowerment,” sponsored by Mary Kay Inc. and The Mary Kay FoundationSM, for their role in addressing an issue that had few resources and was seldom talked about prior to passage of the legislation. As longtime supporters of domestic violence initiatives, Mary Kay Inc. and The Mary Kay FoundationSM partnered with the National Task Force to End Sexual and Domestic Violence Against Women for the series of events acknowledging progress made the past three decades. They also called on lawmakers for a renewed commitment to strengthen existing programs and create new ones to address the life-altering crimes of sexual and domestic violence that impact millions of Americans. 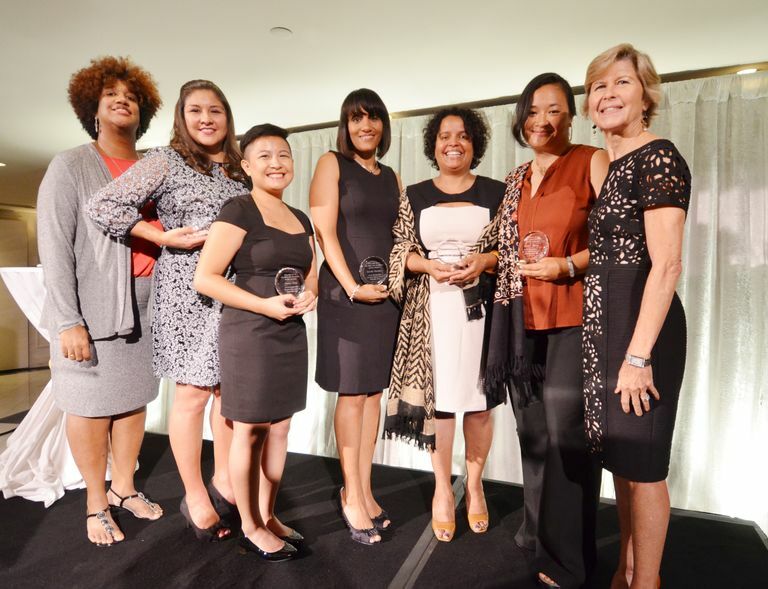 Advocates and champions were recognized at a White House ceremony followed by a reception hosted by Vice President Joe Biden, who co-sponsored VAWA at its inception. Additional events took place at the National Archives and the National Museum for Women in the Arts to honor five unsung heroes from across the nation who valiantly work in their communities to address the crime and heartbreak of sexual and domestic violence. "As a company committed to enriching women’s lives, Mary Kay has supported ending violence against women and is committed to renewed efforts to prevent and end domestic violence,” said Anne Crews, Vice President of Public Affairs for Mary Kay Inc. and a board member for The Mary Kay FoundationSM. “There is much more work to be done and both Mary Kay and our Independent Sales Force continue to work as tireless advocates for this issue. We have witnessed significant progress in raising awareness that domestic violence is an unacceptable crime, shaped prevention efforts and studied the impact violence at home has on children helping to change the dialogue for generations to come." Mary Kay has a long history of supporting the prevention of domestic abuse. As part of its “Don’t Look Away” campaign, Mary Kay Inc. granted $1 million to support the nation’s first and only dating-abuse text-message helpline providing a safe and anonymous connection to a peer-trained advocate for support and information on healthy dating relationships. Additionally, The Mary Kay FoundationSM has donated $34 million to domestic violence organizations since 2000 to help maintain critical services and programs for women, teens and children who are survivors of domestic violence or dating abuse through an annual shelter grant program in all 50 states.